Visionaries is a four sculpture installation along east 16th street by the Monon Trail in Indianapolis, IN. 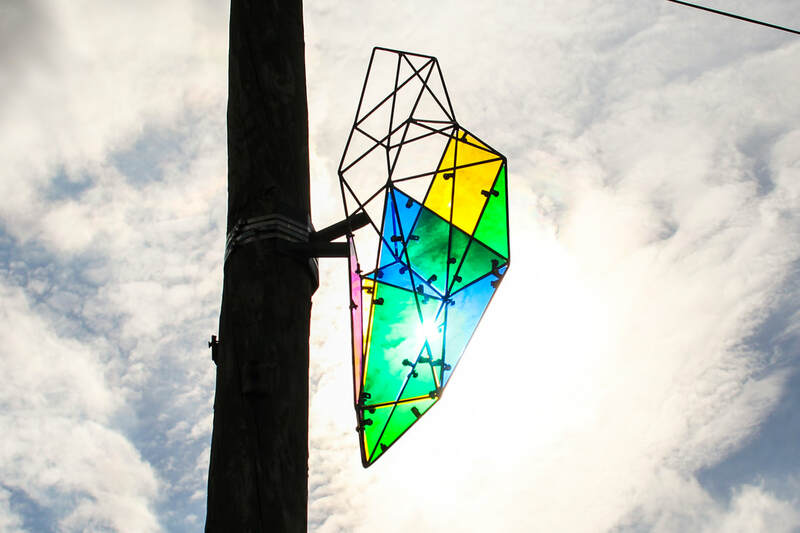 The 4' tall x 2' wide x 2' deep steel sculptures with colored acrylic panels are suspended 12' high from light poles. The sculptures were commissioned by the Harrison Center for the Arts as part of PreEnact Indy.